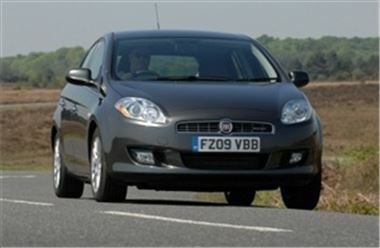 People considering buying a car in the coming months may want to pay a visit to their nearest Fiat dealership. The manufacturer has released a new edition of its Bravo model. Priced at £13,255, the MSN Special Series costs the same as the 1.4 16V Active, but features an additional £2,700 worth of equipment. Created as a team effort between Fiat and the internet group it is named after, the model comes with a range of hi-tech gadgets. Buyers will benefit from Sony Ericsson mobile phone technology, as well as radio navigation and informatics systems - like Instant Nav and Blue&amp;Me. One of the vehicles first missions is to complete a tour of Europe. Over the course of three days, participants will make their way across the continent while carrying out tasks to raise money for charity. Andrew Humberstone, managing director at Fiat, stated: "The Bravo Tour is a great way to showcase the new Bravo MSN Special Series." In other motoring news, a version of the manufacturer's 500 city model decorated by the artist Sir Peter Blake recently fetched £55,000 for good causes.